Tungsten carbide materials are widely used due to its unique properties, such as capacity to withstand shock, vibration, impact, high temperatures, among others. Cennabras has developed a full product line of brazing filler metals to customers in this industry. 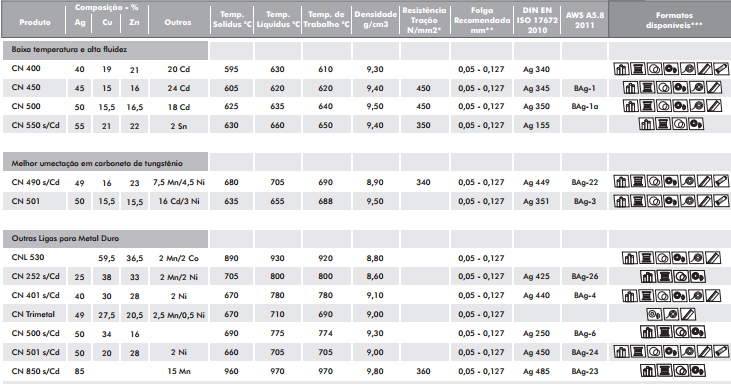 Brazing alloys with nickel and manganese, improving joint´s mechanical resistance and flow over tungsten carbide and other materials difficult to wet. 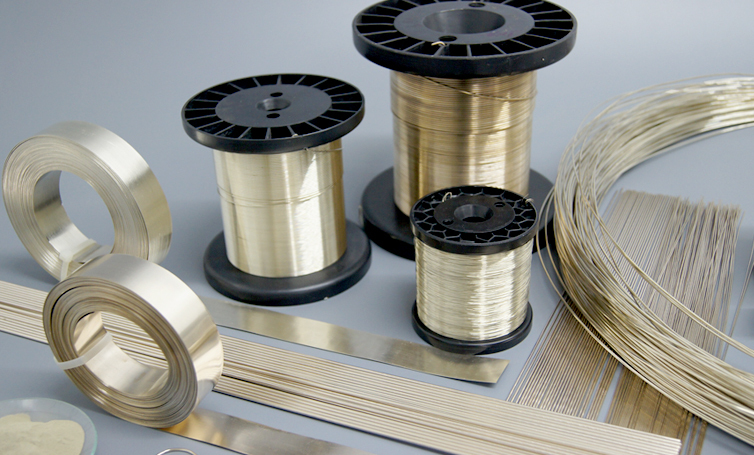 Low temperature, free flowing brazing filler metals – such as CN 550 S/Cd and CN 400. Cennabras Trimetal: Consist of two layers of braze filler metal and a copper core. These materials ease the stress that arises from the differences in thermal expansion between the carbide and the parent metal when cooling from brazing temperature. Preforms and pastes are available. * Tensile/shear strength data refers to the application on Steel S235. ** Recommended gap is at brazing temperature and for air brazing processes. For furnace brazing or further details, please contact Cennabras..